Silly and Serious – or, Why don’t *I* have the day off? Greetings squirrel lovers! Not much going on today, as it’s a government holiday for many. Unfortunately, this is delaying my new job situation by at least a day so I am going to spend a whole day just waiting for everyone to come back on Tuesday, so I can receive my official job offer. I am trying to be a patient squirrel but it’s HARD! Either someone is feelin’ the heat, or they’ve been watching too much DVR’d Video Music Awards. 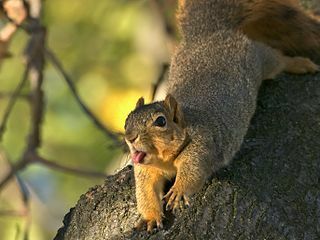 That Miley Cyrus is not a good influence for squirrels! In my serious presentation, I wanted to highlight these websites: CARE INSTRUCTIONS FOR INFANT SQUIRRELS and Squirrel-Rehab.org. Both these sites provide helpful information for people who might find squirrels abandoned by their parents. 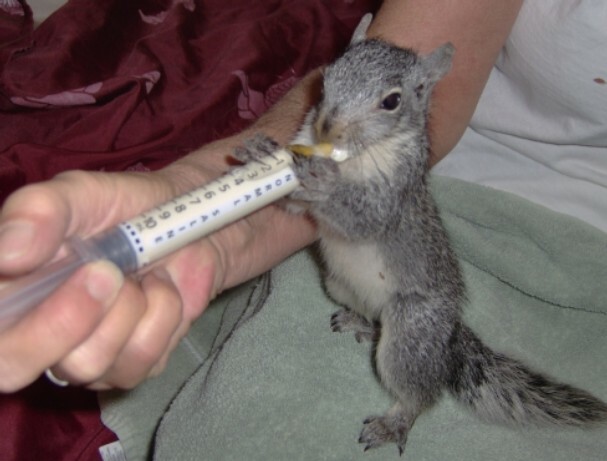 I personally have always wanted to help rehabilitate a squirrel – but I might be too tempted to keep it for a pet! How could you resist their squirrely cuteness! For those who don’t know (and that includes me), naissance de l’ecureuil is how you refer to “baby squirrels” if you are French speaking. 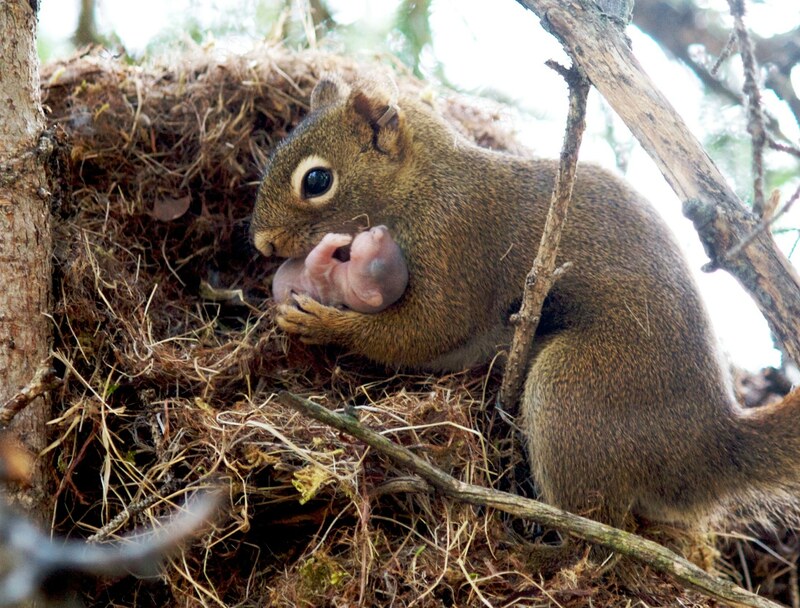 In honour of all those baby-squirrel seekers from French Canada, France, and anywhere else French, here’s another cutie! Mmmm… that’s some tasty drink! 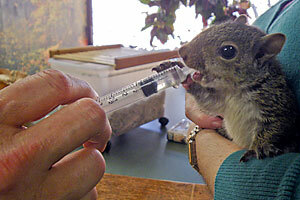 For my sixty-first day, I have a super cute squirrel being fed via oral syringe. 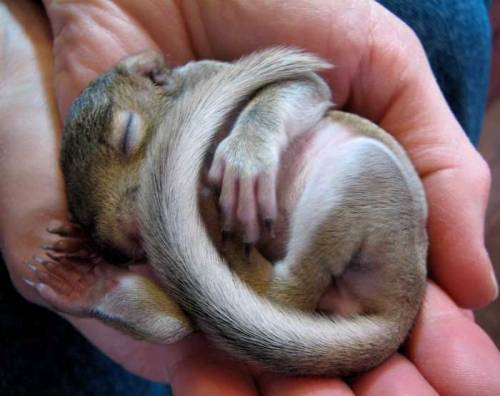 It’s really sweet how some humans will choose to raise baby squirrels that are left on their own! It other news, this is my first post of the third phase. So far so good!